With a large number of beautiful, high-quality color photographs, these guides are as browsable as the best coffee table books but also supply travelers with maps, travel tips, and extensive listings for lodging, camping, and sightseeing. Vacation destinations Mount Desert Island and Acadia National Park are proven even more enjoyable by this guide to Bar Harbor, the Cranberry Isles, Isle au Haut, the Schoodic Peninsula, Seal Harbor, and Swan's Island. 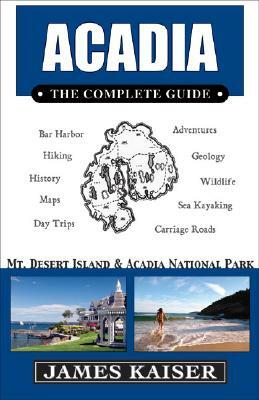 Written by a Maine native, the listings point out the best spots for eating, shopping, and lodging in the towns and villages of the area, and carefully researched chapters on history, geology, and wildlife beckon travelers to hike, camp, and kayak in the unspoiled wild areas of the park. James Kaiser is an award-winning travel writer and photographer and the author of" Grand Canyon: The Complete Guide, Joshua Tree: The Complete Guide "and "Yosemite: The Complete Guide."